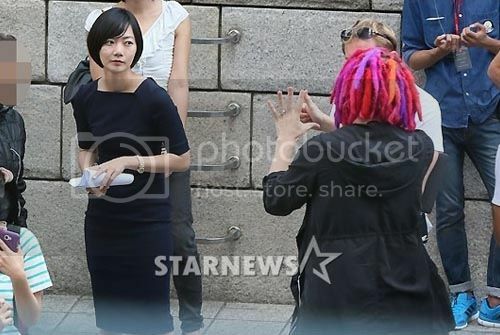 As previously mentioned, Bae Doo-na is back in Korea and busily filming, though not for a Korean production. She’s been cast in Sense8, a television series that’ll mark her third collaboration with Hollywood producers the Wachowskis (after Cloud Atlas and Jupiter Ascending), which is planned for a Netflix run to launch in 2015. 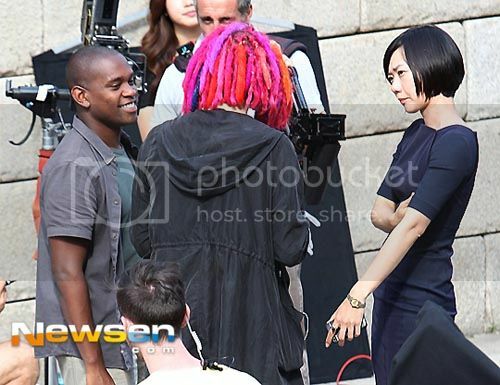 Sense8 is a sci-fi series co-written by the Wachowskis and J. Michael Straczynski (creator of Babylon 5), and centers around eight individuals around the world who are connected by the simultaneous telepathic visions they experience. 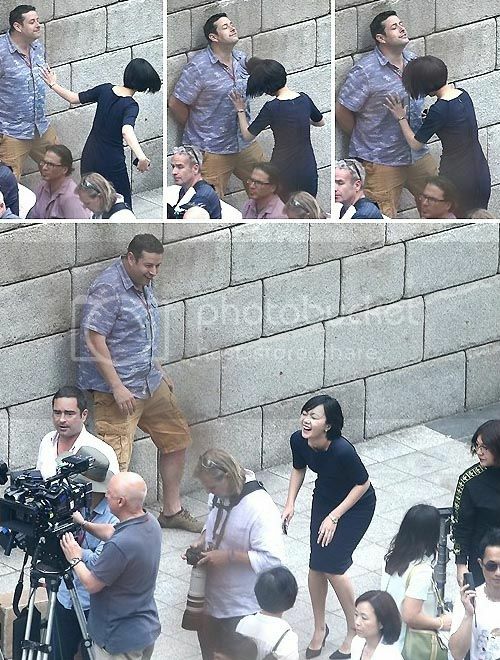 Bae Doo-na’s segment takes place in Korea, and there’s mention of possible appearances by some familiar dramaland faces who speak English well: Ma Dong-seok (Bad Boys, Kundo), Cha In-pyo (Endless Love, Daemul), Lee Kyung-young (Vampire Prosecutor 2), Myung Kye-nam (Ghost, Unemployed Romance), and singer Lee Ki-chan (Into the Fire). I had no idea those guys all spoke English (well enough to be cast in a Hollywood production), but they’re solid actors and also, I’m pretty sure Bae Doo-na can act with anybody. 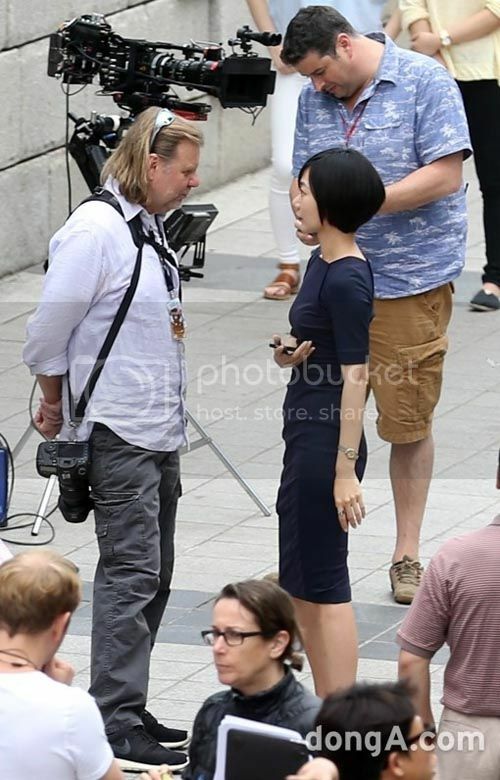 The series has already shot some of its footage in the States, and will film in a number of cities around the world, including Berlin, Mumbai, and Mexico City; shoots began in Seoul on September 23, which is where these photos come from. Plans are to shoot in Korea through the end of the month. Sense8 has its eye on a five-season format and will release next year. she is having fun there. good luck with the new mvoie. i loved her in her movie. the Host. I watched Gloria for BDN.....( The drama itself was meh)....ok, ok.... I watched it for Seo Ji Suk ?? Awesome. 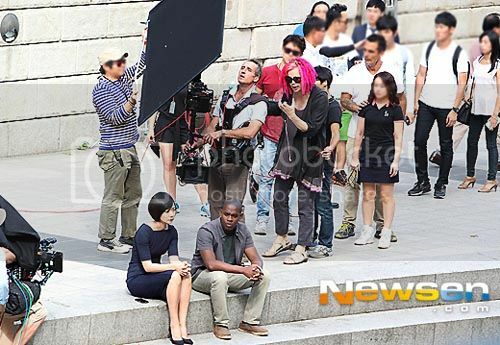 The chatter and the dramas are all about big Korean stars trying to break into Hollywood, but here we have the Wachowskis doing something low-key and sensible for a Korean scenario: Bae Doona's charisma and a selection of high-quality Korean character actors. They'll get the job done. I'm looking forward to this a lot! I'm not familiar with Bae Doo-na, the only thing I've seen her in (that I remember) was The Host, and she was great in that. I like that this is a project that will showcase actors from all over the world (I assume) and that the aforementioned drama-veterans will get some more exposure. 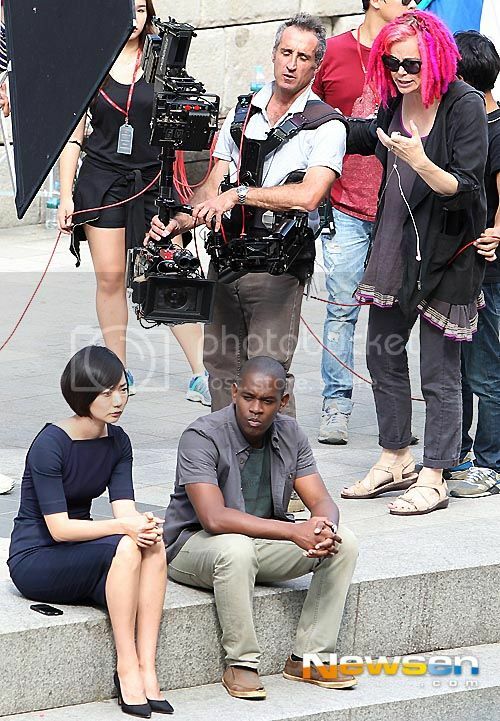 Side-note: I'm pretty sure Lee Kyoung-young speaks English in The Berlin File. I watched it recently and was impressed by the English spoken by several of the Korean actors. Not all of them were good, but I could understand them. 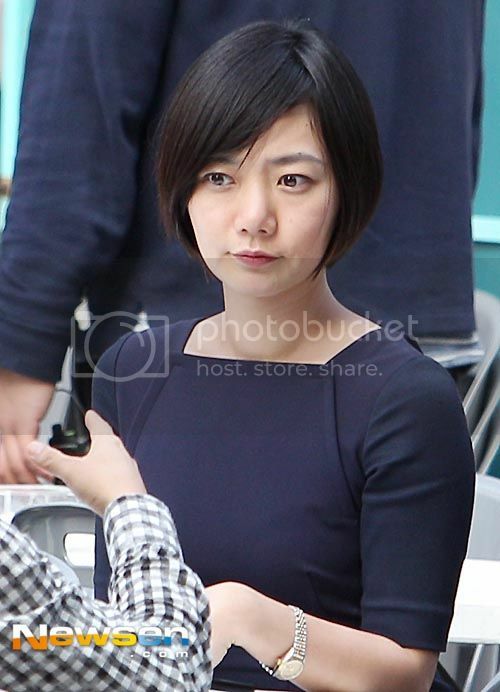 She looks as elegant as ever... and so cute when she's pulling faces! I love her in As One and Cloud Atlas. She's really beautiful and talented as well. Hope she doesn't sing in this one. Looove her! I am very exited for this and I love the Sci-Fi genre. I'm glad she's low-key successful. 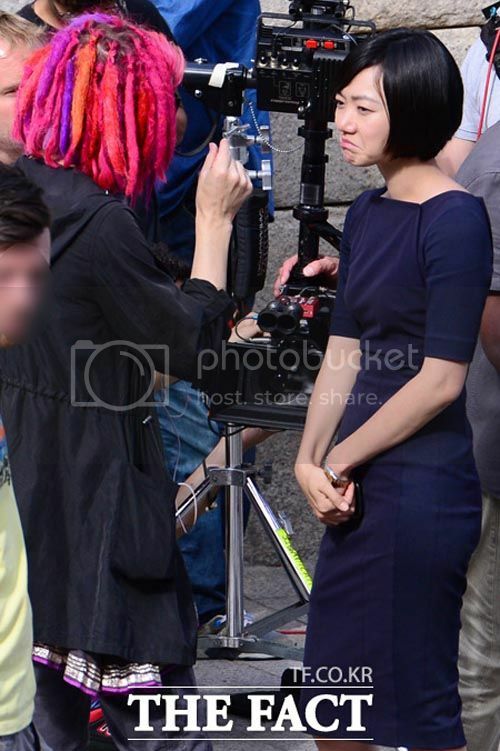 It's awesome that she seems to be getting these out-of-the-box roles with the Wachowski's (who I always find produce something entertaining/impressive even when hit-or-miss). I hope it leads to more people seeing her talent and casting her! 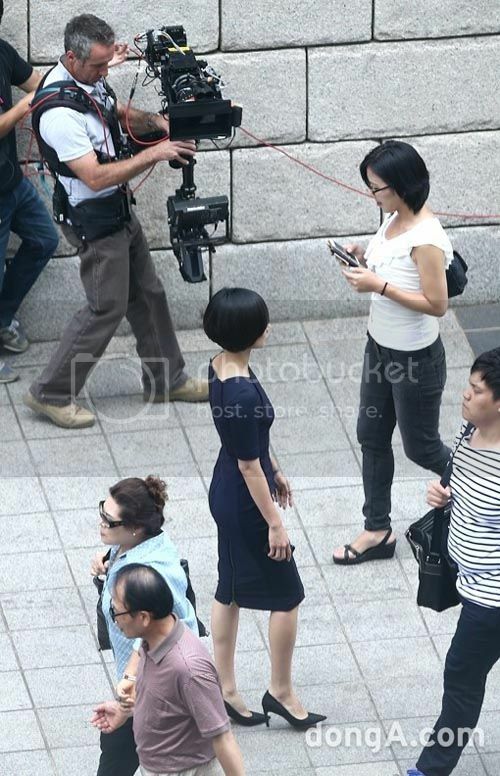 Would love to see her everywhereeeeeeeee~! A blow is struck for the empowerment of Korean women. 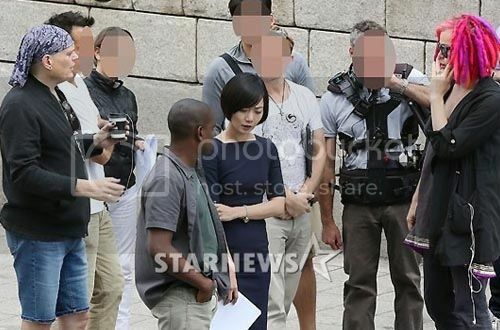 On the last Running Man, Seo Woo wore high heels to a mud-fight, and everyone made fun of her. But, wow, is she ever short. Her hair's so pretty! I can never pull off bob hairstyles. I just saw Hugh Grant in a talkshow talking about his (weird) part in Cloud Atlas! 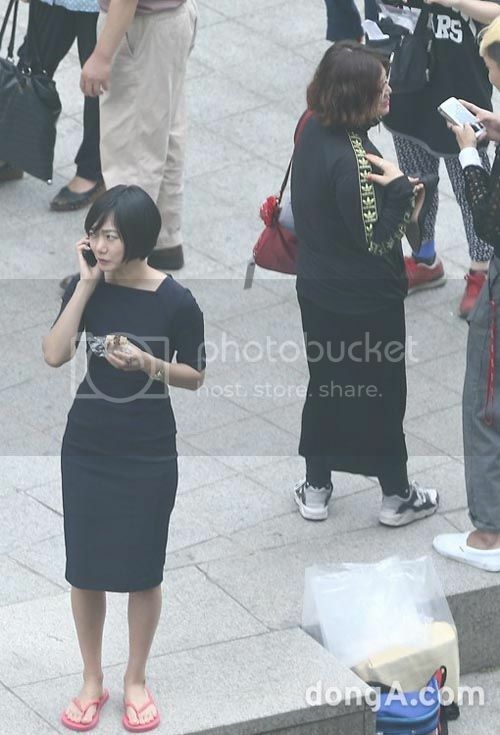 Now I want to see it for Bae Doo-na... Luvv her.